Dr. Kunal Roy is a Professor in the Department of Pharmaceutical Technology, Jadavpur University, Kolkata, India. He has been a recipient of Commonwealth Academic Staff Fellowship (University of Manchester, 2007) and Marie Curie International Incoming Fellowship (University of Manchester, 2013). The field of his research interest is QSAR and Molecular Modeling with application in Drug Design and Ecotoxicological Modeling. Dr. Roy has published more than 280 research articles in refereed journals (current SCOPUS h index 38). 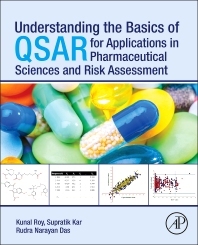 He has also coauthored two QSAR-related books, edited three QSAR books and published more than ten book chapters. Dr. Roy is a Co-Editor-in-Chief of Molecular Diversity (Springer Nature) and Editor-in-Chief of International Journal of Quantitative Structure-Property Relationships (IJQSPR) (IGI Global). He also serves as a member of Editorial Boards of several International Journals.